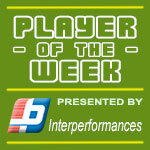 American Nigel Jones (201-C-90) put on an extraordinary performance in the last round for Belize City D. and that's him to receive a Interperformances Player of the Week award for round 8. The 28-year old center had the game-high 36 points adding nine rebounds and two assists for Belize City D. in his team's victory, helping them to edge out Orange Walk RR (#7, 1-7) 93-91. Belize City D. maintains the 4th position in Belizean NEBL. Belize City D. is a typical solid league team placed somewhere in the middle or a little bit lower in the standings. They need more victories to improve their 4-4 record. In the team's last game Jones had a remarkable 68.2% from 2-point range. He turned to be Belize City D.'s top player in his first season with the team. Talladega College graduate has very impressive stats this year. Jones is in league's top in points (2nd best: 20.1ppg), rebounds (7th best: 8.1rpg) and averages solid 1.4bpg and 59.6% FGP. Worth to mention Jones played also at Eurobasket Summer League, which helped him get the job in pro basketball. The second most remarkable performance in last round's games was 25-year old American forward Jihad Wright (193-F-93) of San Pedro T.. Wright impressed basketball fans with 32 points and 8 rebounds. It was enough for San Pedro T. to edge slightly higher-ranked Smart Belize H. (4-4) by 5 points 80-75. San Pedro T.'s 5th position in the standings has not changed. His team lost some distance to top teams. But 4-4 record is not bad and everything may still change. Wright is a newcomer at San Pedro T. and it seems he did not have too much trouble to become one of team's leaders. 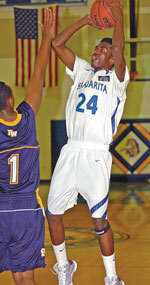 The third best performed player last round was Shemar White (F) of Orange Walk RR (#7). White scored 19 points and grabbed nine rebounds. Despite White's great performance Orange Walk RR lost 91-93 to the higher-ranked Belize City D. (#4, 4-4). But his team cannot count on just a single player as he also needs help of the other teammates. Orange Walk RR can only dream about fighting for top spots in the league. They have extremely bad season and 1-7 record places them at the very bottom of the standings. Too bad for White he does not play for a better team. But maybe if he did, his season stats would not be that high. White has a very solid season. 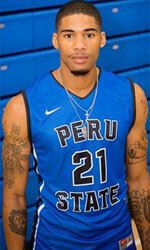 In 8 games in Belize he scored 8.6ppg.